Caravans and mobile homes may remind you of family holidays from years past, but seeking accommodation at a caravan site during your gap year is anything but old-fashioned. Caravan site accommodation is a hot option for gap year travellers on a budget as they offer clean, safe facilities and the chance to meet like-minded travellers. If you want to save some money and make new friends, then consider adding a few nights at a caravan site accommodation to your gap year itinerary. What is a Caravan Site? Caravan sites are designated areas where caravans and mobile homes can park and set up "camp" while on holiday. Many caravan sites also offer permanent, private caravans, cottages and chalets that can be rented by the day or week. Caravan sites tend to offer a variety of amenities such as toilets and showers, and often include pools, playgrounds, community areas and even discos. Some sites may also offer cafes or snack shops, laundry facilities and even small grocery shops. Prices will vary according to location and facilities. How do I Book Caravan Site Accommodation? Caravan Site Finder for caravan sites across the United Kingdom and Republic of Ireland. 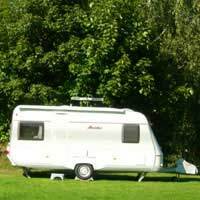 Caravan Europe Guide for information on caravan sites across Europe. American Journeys for information on caravanning (also called RVing for "recreational vehicles") across the United States. Caravan Camping Network for caravan sites across Australia. E Camp for camping and caravan sites worldwide. How do I Stay Safe While Staying at a Caravan Site? Staying safe at a caravan site requires simple common sense. Caravan sites do not present particular dangers, but it is always useful to read up on travel advisories for the areas you will be visiting. While at a caravan site, keep your valuables locked in your luggage and keep your wallet/purse and passport on your person at all times. Never leave bags unattended in your accommodation, and do not watch bags for strangers. Alert the site authorities to suspicious behaviour by other guests, and never wander alone after dark. Follow all caravan site rules, particularly those regarding fires and noise, and don't be afraid to introduce yourself to your neighbours. Be safe, but don't forget to have fun! Caravan sites offer safe, clean accommodations and are a favourite with many gap year travellers. If you prefer a basic place to lay your head and would rather splash out on a memorable souvenir or adventures, then investigate adding a few caravan sites to your schedule!